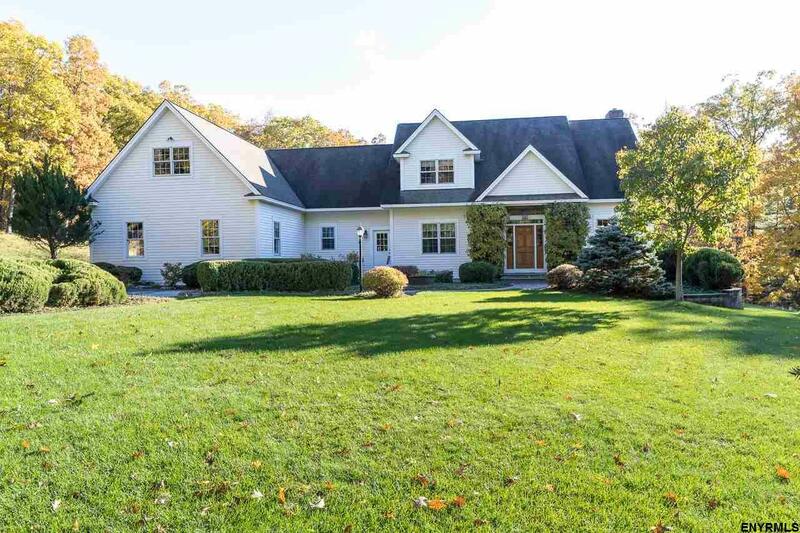 Custom designed & exquisitely crafted cape on 3.7 private acres minutes from the village & Helderberg Hudson Rail Trail. With 3755 sq. ft. the spacious layout is perfect for entertaining. The 1st flr master suite overlooks grounds including private walking trails. Enjoy sun-drenched days in the sun-room. 2nd fl suite could be an add'l master bdrm or guest suite. Unfinished bonus space is easily accessible via 1st fl stairway or 2nd fl hallway offering opportunity for substantial expansion.